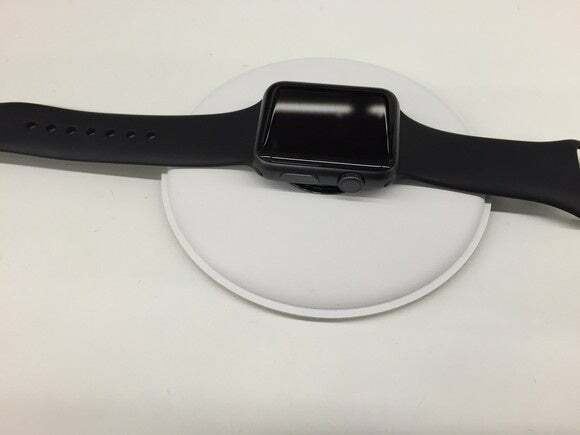 European tech sites leak photos of what they claim is the official Apple Watch charging dock. 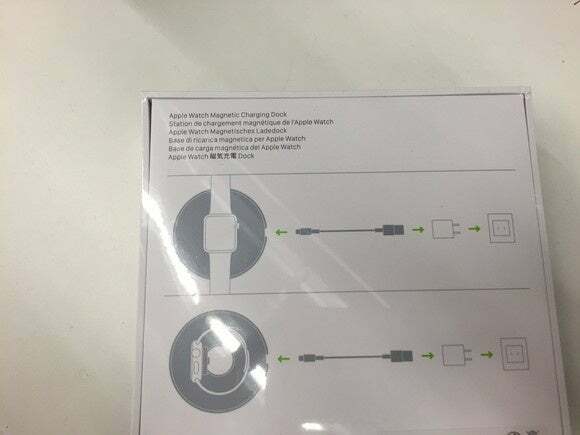 Apple is ready to reveal its official charging dock for Apple Watch, according to recent photos that surfaced on European tech sites on Tuesday. 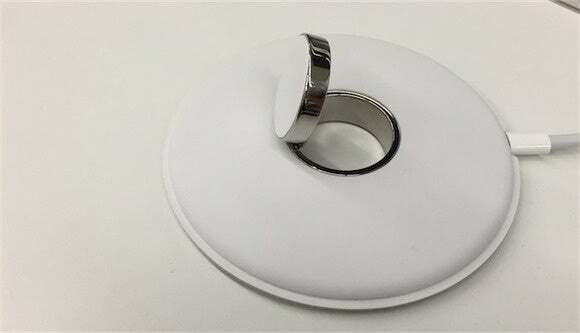 The photos, spotted by MacRumors, show a white, circular, magnetic charging dock that can be used to charge the Apple Watch by laying it down flat on the top or by propping it upright in “nightstand” mode. According to photos of the packaging published by French site, iGeneration, the new accessory will be called “Magnetic Charging Dock” and it will retail for €89. MacRumos speculates that the charging dock might be priced at $79 in the U.S. The Magnetic Charging Dock will have a built-in magnetic puck and will come with a Lighting cord to be able to charge the Apple Watch. However, it doesn’t seem like it will include a USB power adapter. There is no confirmed sale date yet, but the fact that Apple has the packaging completed signals it could release it very soon. 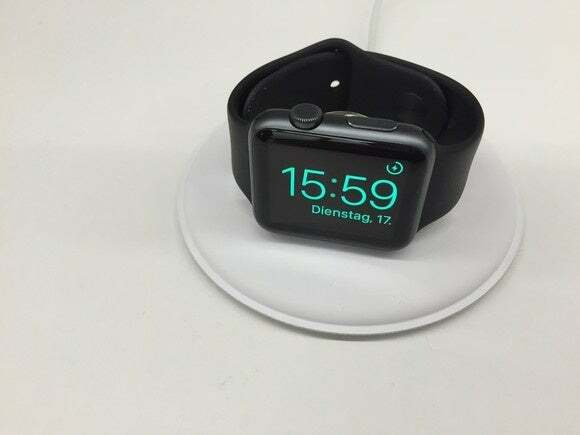 The impact on you: If you are looking to charge your Apple Watch while in nightstand mode, Apple’s Magnetic Charging Dock is not your only choice. Needless to say, it probably won’t be the most affordable. If you don’t mind using the magnetic charging cable that came with your Apple Watch, BlueLounge’s Kosta charging coaster gets the job done and it’s only $15. Elevation Lab’s Nightstand is $30 but it comes in the exact Apple-sanctioned colors to match your Watch band. Even if you need to purchase an extra magnetic charging cable, that only costs $30 at the Apple Store, making both these options still less expensive than the rumored Magnetic Charging Dock.